Notice the fact that Marcus, who — like Epictetus — often refers to gods, here seems to contemplate the possibility that there aren’t any, that we die and go into a state “without sensation.” And yet, that changes things not a bit from the Stoic perspective, as he clarifies in the section following this one: “Do not waste the remainder of your life in thoughts about others, when you do not refer your thoughts to some object of common utility.” That is, regardless of what, if anything, awaits you after your life, don’t waste the latter in things that are not useful to humanity. A bit later Marcus tells us about the Stoic doctrine of oikeiosis, usually translated as “affinity”: “every rational animal [each man’s] his kinsman, and … to care for all men is according to man’s nature; and a man should value the opinion only of those who openly live according to nature.” Living “according to nature” for the Stoics didn’t mean going around hugging trees, but rather to follow human nature, which they thought had two characteristics: the ability to reason, and the propensity to be social. 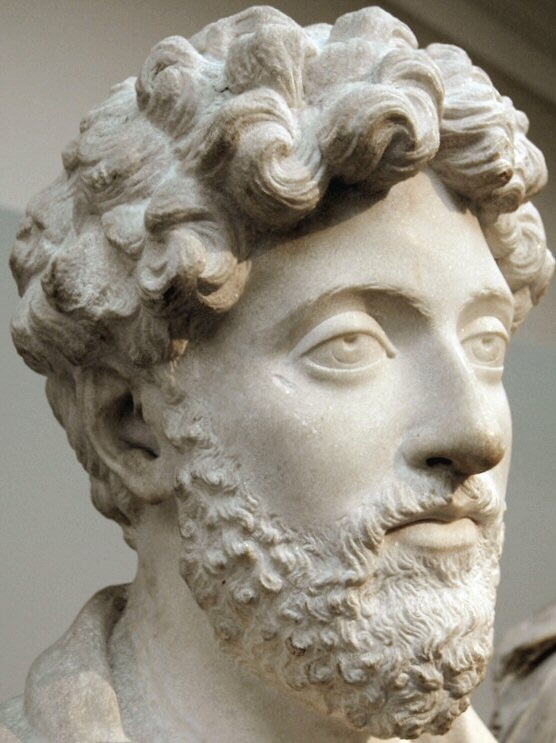 Marcus then reminds us (well, himself, really, since the Meditations was his personal diary) never to compromise the common good and right action to obtain praise from others, power, or pleasure. According to him, we shouldn’t “desire that needs walls or curtains,” that is, anything we would be ashamed of in public. Near the end of Book III comes another of my favorites, which I will quote in full: “Brief is man’s life and small the nook of the earth where he lives; brief, too, is the longest posthumous fame [well, I guess except in his case! ], buoyed only by a succession of poor human beings who will very soon die and who know little of themselves, much less of someone who died long ago.” Bleak? Not to my mind. But it is a powerful way to remind ourselves of a broader perspective, from which desperately seeking wealth and fame looks ridiculous and pointless. This entry was posted in Marcus on July 10, 2015 by Massimo. Thank you Massimo. My father died 15 years ago today, and what you wrote reminds me of how he spent much of his life trying to attain some minor success at a public career (a city office appointed position) while abandoning the 3 children from his first marriage. If he had thought to see a “common utility” in being a father (probably a very mundane and thankless task), we might not have suffered as much as a result. I was there when he died, and I know he felt a deep sense of regret in not being present for the lives of his children. It is sad when a person can’t realize such a mistake until it’s too late. sorry to hear that, though I have had one or two personal stories like that as well. Hopefully my daughter will assess things differently, when the time comes. Nice write up! And a bit of coincidence too, it just so happens that my last blog was on the same book. Metaphysical, could you provide a link? Thanks.